Day 2 post half marathon and I have to say I’m feeling pretty damn good! To be honest, I didn’t get the ‘runners high’ this time round and I am really struggling to understand why. I ran a PB, felt great during and after the race, and enjoyed every mile. I did struggle with my hamstring, but I can’t see why that would make me feel like this. Regardless, I am very proud of my effort and thankful for the support from my best friend, Anna, along with everyone else who watched and wished me luck. The night before, I grabbed a pizza from Franco Manca, with Anna and mum, and guys if you haven’t tried this place, I suggest you get down to one ASAP! Shortly after we hit the hay, and I woke the following morning feeling refreshed and ready to go. I grabbed my overnight oats from the fridge and devoured them before heading out the door. I’d spent the 3 days prior to the race, preparing myself for this day, making sure I had carb loaded and drunk enough water. This takes a lot of stress out of doing it the day/night before, which I wouldn’t recommend! We arrived at the park and ride, climbed on the bus and were dropped in the centre of Oxford. It was then quite a walk to the race village, so I’m glad I left plenty of time for this. I queued in the normally long line for the toilet, before joining the warm up and meeting Kirsty, a sweet girl I’ve been following for ages on Instagram. We walked, what seemed miles together, to the start line and waited in our pen. The sun was shining and I felt so ready to run! 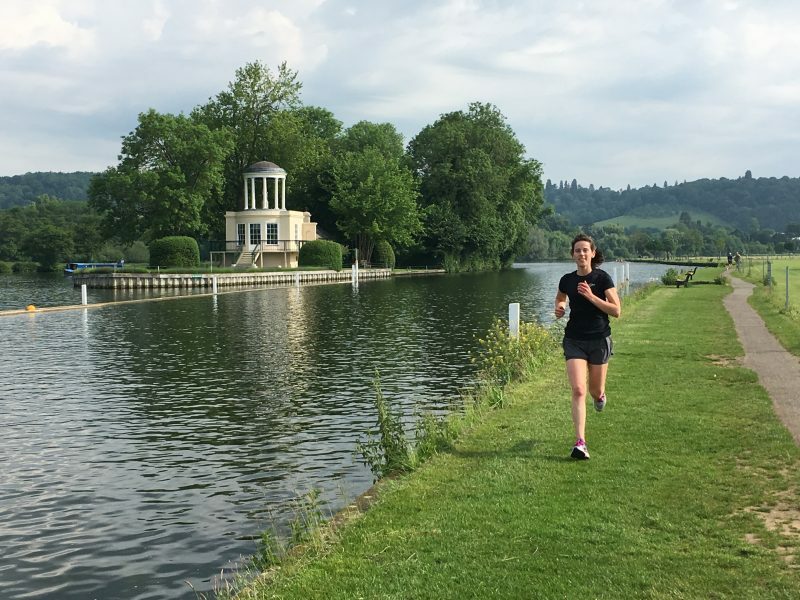 The first few miles seemed quite hard, which was strange, as I’d rested my legs and thought they would feel ready and raring to go! At mile 4 I had to stop to pee, which is SO unheard of for me!! At mile 6, I saw Anna waiting for me with her sign she’d made, and felt good after finally settling into a good pace. Miles 6 – 9, however, were pretty horrendous! For most of it, the roads were quiet and there weren’t many supporters out. The route was long and looked like it would never end. We had to double back on ourselves, so knowing I had to run it again to get to the last 4 miles, was slightly painful!!! As I reached mile 10, I saw Anna again, which gave me a boost to carry on, then it was all on me! 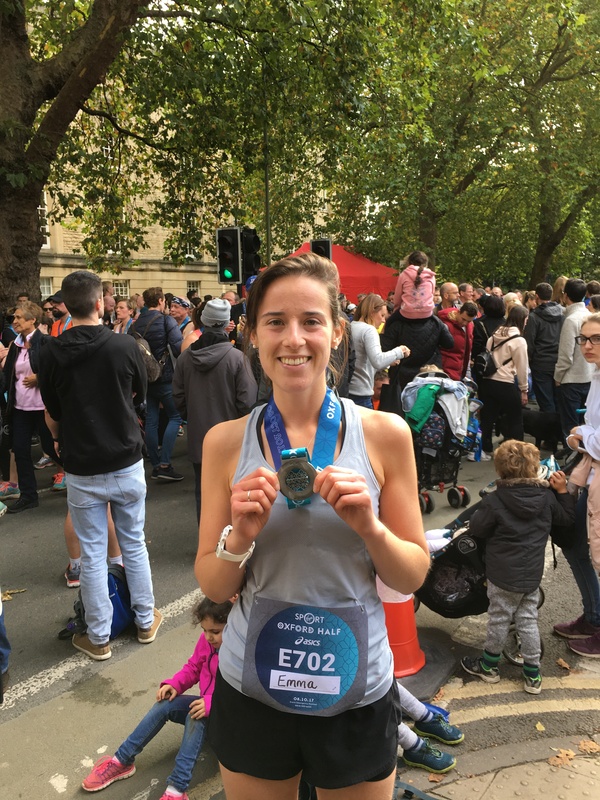 Finally, after what seemed like forever, I crossed the finish line and couldn’t be happier – a PB and I had made it! After much searching, I finally found Anna, and received a much needed hug! I was so close to tears at this point, feeling very overwhelmed. We then headed to find some much needed food and couldn’t have found a better spot – avocado and salmon on toast, vegan chocolate cake and coffee, were very much needed and enjoyed! I finally made it home to a warm bath and a much needed film on the sofa, with my mum and the dog. I felt absolutely exhausted and couldn’t wait to devour more food and go to bed! I want to say a HUGE thank you to everyone who supports me on all my runs, big or small, encourages me and gives me advice. It really does mean the world to me and I am extremely thankful for every single one of you! Well done to everyone who ran on Sunday, I couldn’t believe how many races there were! 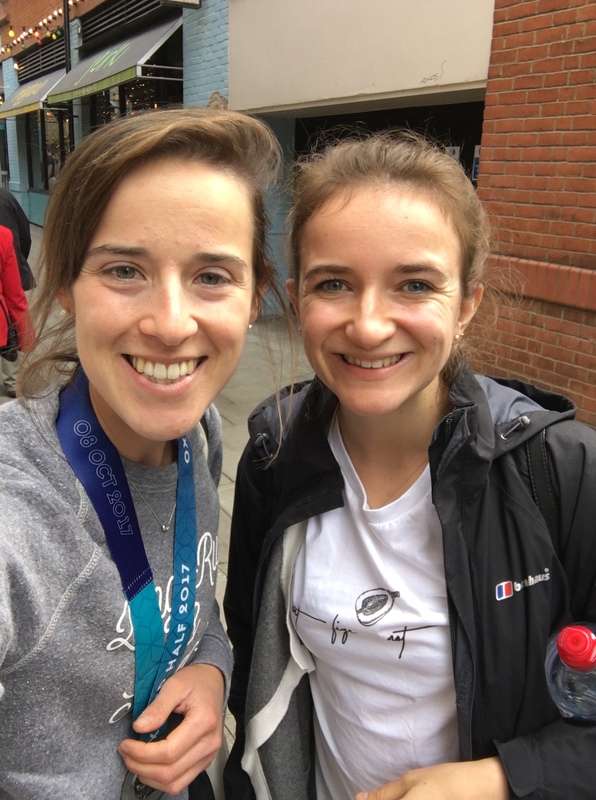 Next Post Gulp…I’m running the London Marathon!